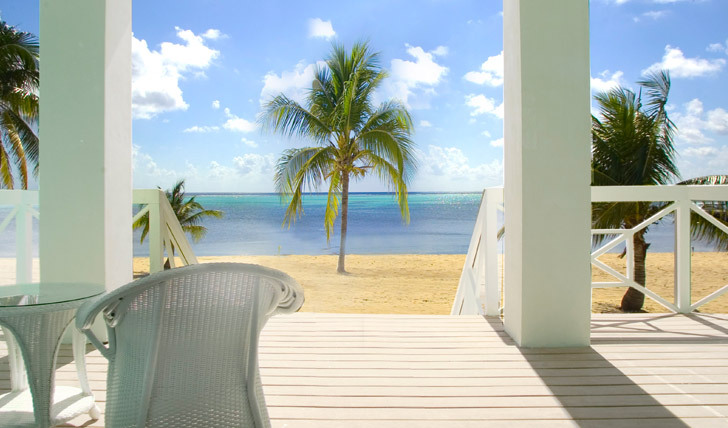 Little Cayman is one of the most authentic Caribbean islands, and the Southern Cross Club conveys this unique quality to guests through its laid back, rustic charm. 14 romantic pastel colored bungalows dotted along, secluded, white sandy beach, some with private outdoor showers looking out over the lagoon. A honeymoon suite stands alone at the water’s edge, which boasts a private commode a few hundred feet offshore, with views across the barrier reef and the crystal clear waters of the South Hole Sound. It won’t take long before you really understand the full meaning of their slogan, ‘Barefoot Elegance’. Aside from pure relaxation, guests can enjoy the abundant fishing opportunities across the island and offshore, as well as some of the best diving in the Caribbean. The Southern Cross Club sits on a secluded 900 foot long, white sandy beach. The club provides transfers to and from the little local airport, which is under a half hour drive away. The main passenger airport in the Cayman Islands, Owen Roberts International Airport, is located on Grand Cayman. British Airways offer a direct service four times a week from London Heathrow. 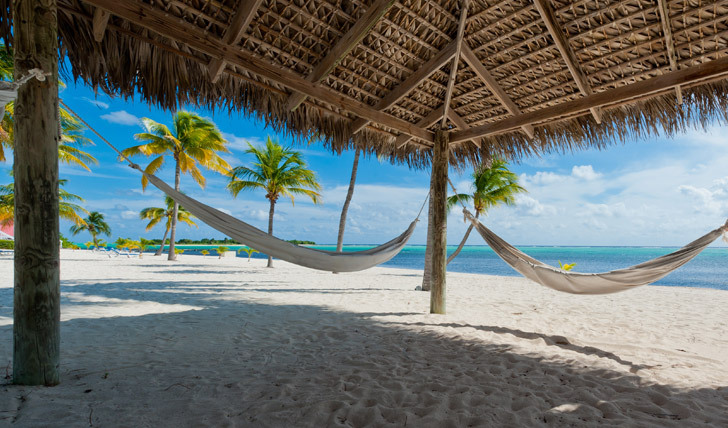 Cayman Airways provide a daily jet service to Little Cayman and Cayman Brac, and Cayman Express offers four transfers a day to both islands. This means exploring the nearby islands of Cayman Brac and Grand Cayman is easily doable during your stay, which is a real plus if you wish to experience the variety of the three islands. Your beautiful, colored beach bungalow will have fantastic views, just a few feet away from the water. We recommend choosing one with a private outdoor shower, for a truly idyllic experience. Rooms are simple, spacious and clean, and each has an outdoor terrace from which you can enjoy a very special view. There is a central lodge, with a dining area, living room and bar, and an abundance of staff to ensure you can relax. The Southern Cross Club’s laid back atmosphere on this small, friendly island nestled in turquoise waters, really enables guests to experience the true Caribbean vibe. With no more than 20 guests staying at one time, you really feel a sense of escapism in this tranquil paradise. The resort’s commitment to preserving the local environment is impressive, continually educating visitors on the unique aspects of island life. You will find the staff becoming more like friends, and every guest detail and requirement is remembered and met. The club will also take you anywhere, providing you with packed lunches and cold boxes, so you can see all that Little Cayman has to offer. Not forgetting perhaps the main attraction of Little Cayman, which is world class diving, made even better by the outstandingly professional and knowledgeable dive masters.